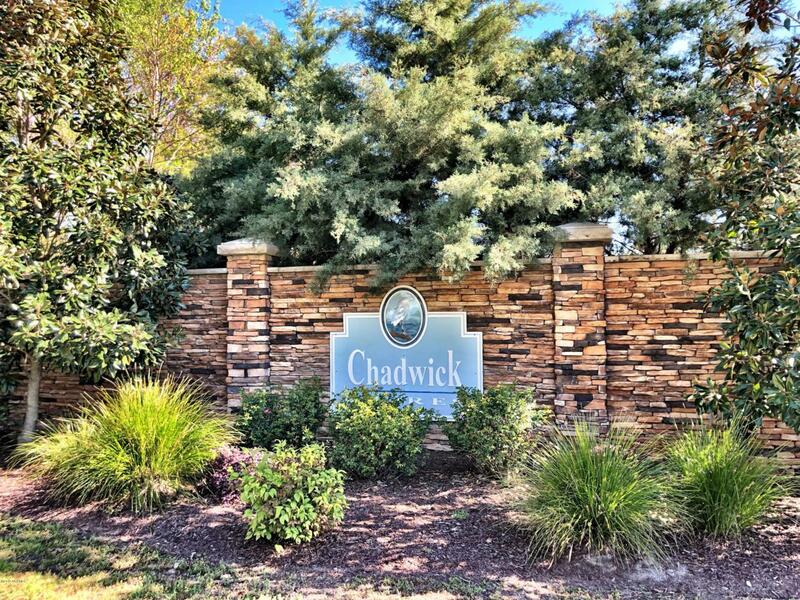 Welcome to Chadwick Shores, a private, gated, waterfront community in Sneads Ferry. This meticulously maintained executive-styled home has had wonderful updates recently to include fresh paint and carpet. 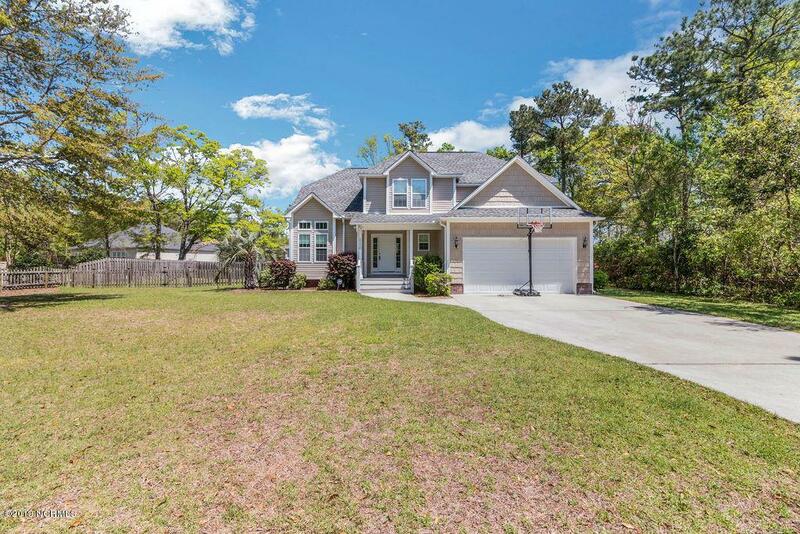 Open concept floor plan with great flow on the main floor and a kitchen built to entertain. Kitchen boasts granite, extra height cabinets for plenty of storage and views of the back yard and great room with fireplace. 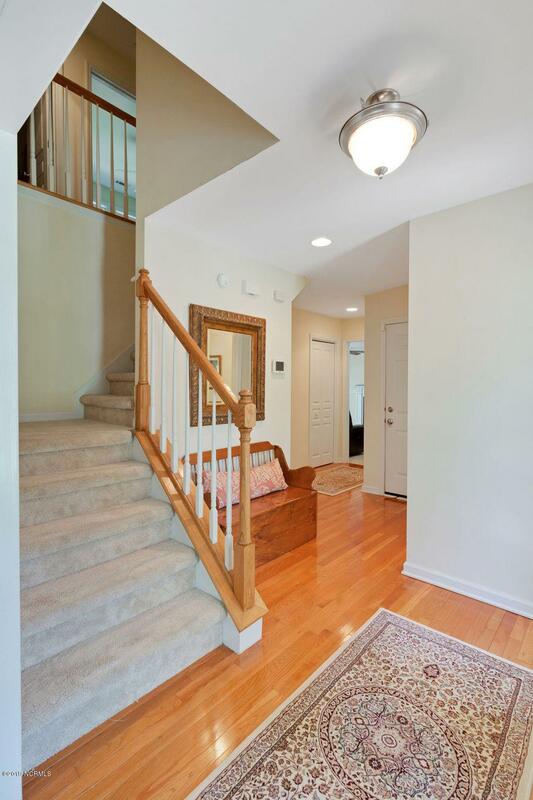 Formal spaces are hardwood floors with special details like custom mill work and crown molding. Upstairs you have views of the trees and breezes off the water. 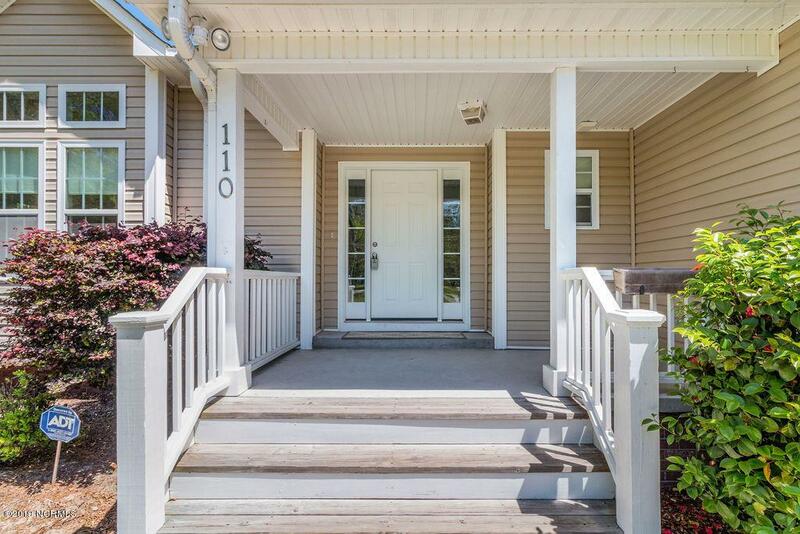 Four spacious bedrooms total, two full baths and laundry room.Owner's suite is well appointed with two closets, large bathroom complete with jetted tub and separate shower.Plenty of room for company with an oversized driveway, parking available on the cul de sac. Neighborhood features include a large loop great for walking/running, biking, a new outdoor workout station, playground, public dock and park. Listing provided courtesy of Mckenzie Johnson of Keller Williams Realty.